Steve’s breakdown: Confederate Motorcycles & Zero Motorcycles are going to create Curtiss Motorcycles and they’re are abandoning the internal combustion engine for a battery-electric powertrain. No word on an agency pick as of yet. 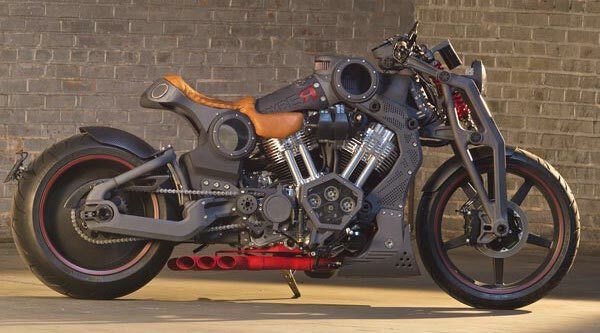 BIRMINGHAM, AL: Confederate Motorcycles makes some of America’s meanest, leanest and loudest V-twin street machines. But now they’re going electric, abandoning the internal combustion engine for a battery-electric powertrain, in partnership with California’s Zero Motorcycles. That’s pretty far. The $155,000 Bomber unit parked on the Quail lawn makes 150 horsepower, and 165 pound-feet of torque, and accelerates as quickly as almost any motorcycle currently in production. Zero could not be reached for comment, but Chambers said the motorcycles will likely be made on the West Coast, perhaps in Zero’s Scotts Valley facility. The change to Curtiss was guided in part, Chambers said, by the limitations of having a company called Confederate, with that word’s historical connection to the Civil War and current civil unrest.